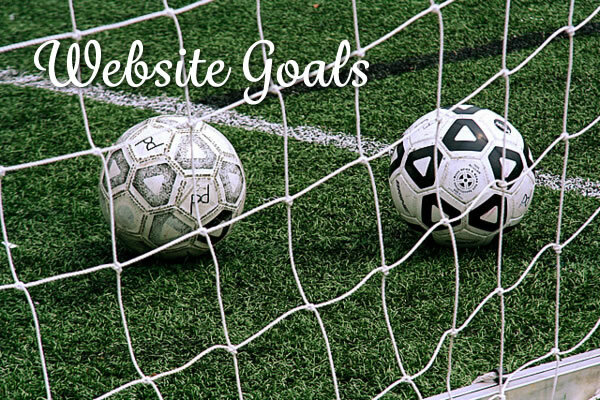 Establishing the goals of your website is as important as knowing the goal of your business. If you do not have a central purpose with which to align everything, your site will appear dispersed, and that means fewer clients and less income. Visitors do not typically visit websites to kill time –they have an exact purpose in mind. Make sure your goals are clear and they will be reflected in a sleek, streamlined website that meets the needs of your clients. Make sure your website goals align with that of your target audience. What are they looking for? What do you intend to provide that would be unique and desirable? Is this reflected in all of your content? Your social media network should also align with your target audience. If your focus is middle-aged women, then Pinterest should be one of your main venues. If your clients are business men and women, you will want to opt for Linkedin. Making your website goal-focused is a continual process. Make sure you are periodically reviewing your website goals and looking for other opportunities for the website to enhance your business. Business needs are often changing, and so should the website. Each page should have its own goal and often has secondary goals in alignment with that. Just make sure that they all fit in with the overall goal of the site. Your website will likely have a number of important goals for different kinds of visitors. Some may be looking for membership; others may want a one-time service or product. You may need to provide a page for investor inquiries. Others may simply want to collect information. Obviously the more visitors to your site, the better. Just make sure that in all your variety, each page aligns with the overall goal of your site. Ensure that you provide what clients want and need. While most clients know what they are looking for when they visit your site, there may be aspects of your business that they are not aware of. Provide enough information to educate clients in the pros and cons of the products and services out there, and clearly state what you know they need to achieve they product they want. Clearly display contact information on all pages. Measure site performance and user interaction. There are a number of tools to help with this — Google Analytics is easy to use and it’s free. Make call-to-actions clearly visible throughout the website. These will encourage user interactions such as registrations, purchases, and contact.